The nature of chronic disease presents significant challenges for those who are committed to treating them, from therapy manufacturers to clinicians to patients themselves. Across the board, chronic illnesses are exceptionally difficult to diagnose, monitor, and successfully manage – let alone define the parameters and guidelines for “success” as they relate to each unique patient. As a response to the heightened demands of care, the specialty pharmacy industry has made incredible strides in innovating the systems and strategies used to treat these conditions. These entities have created specialized lenses through which to view conditions, comprehensive guidelines for assessing and predicting disease states, and novel approaches to ensure that the needs of each patient are met. 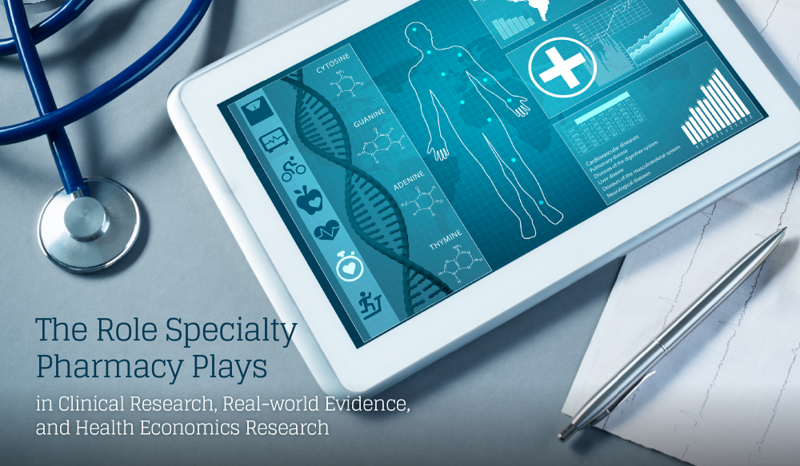 By raising the bar in specialty therapy management, these organizations are in turn making profound contributions to power-up clinical research capabilities, accumulate more-precise real-world evidence, and mitigate costs in health economics research. Geisinger Health System is an outstanding example of an organization that has innovated specialty therapy management, research and evidence accumulation on an individual and population level, and thus made significant strides for the healthcare economy as whole. In 1996, Geisinger Health System created an ambulatory care pharmacy program called the Medication Therapy Disease Management (MTDM) program. Over the course of 20 years, the program has evolved from an anti-coagulation clinic run by a single pharmacist, into a large program that’s dedicated to the health of an ever-growing population. As of October 2016, Geisinger’s MTDM program employed 54 full-time clinical pharmacists in 49 of Geisinger’s ambulatory primary care and specialty clinics. In past 15 years, MTDM pharmacists have treated more than 68,000 patients who were referred for medication management in one or more of 16 disease states including multiple sclerosis, arterial fibrillation, hepatitis C, heart failure, and Crohn’s disease. At the core of the Geisinger MTDM program is achieving high-value care by helping to reduce costs and improve care experiences on the individual and population level. The Geisinger team observed that care costs are inhibitive for many individuals, which is magnified by a shortage of physicians. To combat this, the MTDM program reduces physician burnout and bolsters outcomes by creating interprofessional care teams where pharmacists and physicians collaborate to manage medication use optimization. Minimum competency training and internal credentialing that involves clinical literature, evidence-based guidelines, and hands-on patient care under the supervision and mentorship of a program-certified pharmacist. After training, pharmacists are observed and certified through the MTDM program’s internally-developed certification exam. Certified pharmacists must acquire continuing-education credits and are strongly encouraged to obtain board and disease-specific certifications for which they’re eligible. 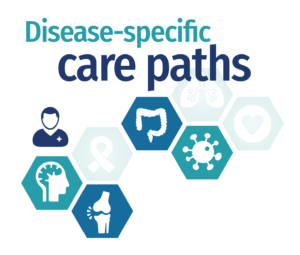 Disease-specific care paths developed collaboratively by specialty and primary care physicians, clinical pharmacists, nursing staff, health insurance partners, data analysts and IT staff, and population health experts. These care paths use best practices and the newest clinical evidence to identify care gaps, set care path goals, and risk-stratify patient populations. This data is then used to formulate appropriate pathways for medication, monitoring, and follow-up treatment, which are implemented systemwide to standardize the care process and continually feed data into the patient population dashboard. An EHR-based referral process with two main options: physician-directed referral or automatic enrollment of high-risk patients who meet customized identification and risk-stratification criteria. The automatic enrollment tool has proven highly effective for population health management, predictive analytics, and ensuring that high-risk patients receive timely, critical treatment. Standardized documentation and order sets in the EHR that create consistency across platforms and clinicians, visit flow continuity, and standardized content of progress notes. IT support facilitates discrete data capture and incorporates real-time data into the dashboard and its analytics functionality. Disease-specific dashboards for comprehensive real-time data capture. These dashboards measure critical data including healthcare utilization, medication and appointment adherence, lab results, prescribing patterns, treatment successes, and potential disease progression. They also identify treatment gaps and high-risk patients, and can compile reports based on the needs of the stakeholders who will receive it. Landmark programs like Geisinger’s showcase the specialty pharmacy industry’s strides in engineering and implementing specialized, comprehensive systems and tools to meet the complex needs of growing patient bases. As the MTDM program expands and similar programs develop around the United States and the world, a new standard of care is evolving to ensure that value-based care is supporting more precise, population-based research, decreasing costs, improving outcomes, and making quality healthcare more accessible for everyone – not just specialty patients. Stay in the evolving outcomes conversation. Join Therigy and some of the specialty pharmacy industry’s top thought leaders as they reveal advanced insights – and real-world examples – on delivering and documenting therapy outcomes. The event takes place on Wednesday, Dec. 13. Reference: Jones, Laney K., Gerard Greskovic, Dante M. Grassi, Jove Graham, Haiyan Sun, Michael R. Gionfriddo, Michael F. Murray et al. "Medication therapy disease management: Geisinger's approach to population health management." American Journal of Health-System Pharmacy 74, no. 18 (2017).